There is one guarantee in life that none of us can escape: We will all die someday. If we’re lucky enough, we’ll do this when we’re old, slipping peacefully away in our sleep, but inevitably, it will happen to each of us. Unfortunately, too many of us pass away without leaving a will or other instructions to our loved ones that can speak for us when we no longer can, and this can cause hardship and stress for friends and family at an already difficult time. According to a 2017 survey by Caring.com, only 42% of Americans have a will. Yet a lack of advance planning can cause enormous emotional and financial strain on those left to pick up the pieces, who must not only deal with a loved one’s estate after they pass away, but also must cope with advanced illness and mental incapacity in the weeks, months, or years leading up to the transition. Anticipating the aging and death of a parent is not an easy process, and for this and other reasons, many people avoid discussing estate and advance care planning with their loved ones. However, as the baby boomer generation ages, many adult children are finding themselves in precarious financial situations as they struggle to cope with their aging parents’ health care needs and funeral arrangements, or find themselves in desperate situations with incapacitated parents who have left behind no advance health care directives. Further, scrambling to find documents, make arrangements, and pay for care may come on the back of balancing grief, work, and family life and can cause irreparable damage among siblings who disagree on what mom or dad’s wishes may have been. Although there is likely to be a great deal of stress, grief, and even family disputes at the passing of a parent no matter how much advance planning is done, some of it can be mitigated by taking the time to learn about your aging parents’ wishes and the basic elements of their estate and advance care plans. It’s important to understand what you need to know regarding your parents’ end-of-life planning, which includes both their estate and advance care planning. What Estate Planning Have They Done So Far? Do your parents have a will? A trust? Accounts with named beneficiaries or pay-on-death or transfer-on-death accounts? Joint accounts with rights of survivorship? It’s important to know what types of estate planning your parents have done so that you’ll understand what will happen with their assets after they die. Whether or not you are the chosen executor of their estate, having this knowledge will help mitigate family disputes that arise from misunderstandings as well as help you know what to expect. You’ll also want to know who your parents have chosen to execute their estate, as the executor will be the one taking charge of all your parents’ assets on their death. End-of-life planning isn’t just about estate planning; it also includes advance care planning. Advance care planning means planning for the possibility that your parents might become physically incapacitated or mentally unsound, resulting in them being unable to make decisions for themselves. It’s crucial to talk to your parents while they’re still healthy about what their wishes would be if these things happen because they’ll be unable to tell you what they want once they become incapacitated. If you wait to have this conversation, it may be too late. However, planning for these eventualities is more than just knowing what your parents would want. It also means having a set of legal documents, called “advance directives,” in place that can speak for your parents when they can’t. Without advance directives, doctors may be unable to speak with you about your parents’ condition, they may give your parents treatment they wouldn’t have wanted, and your parents may be placed in a situation where they can’t be taken care of financially. 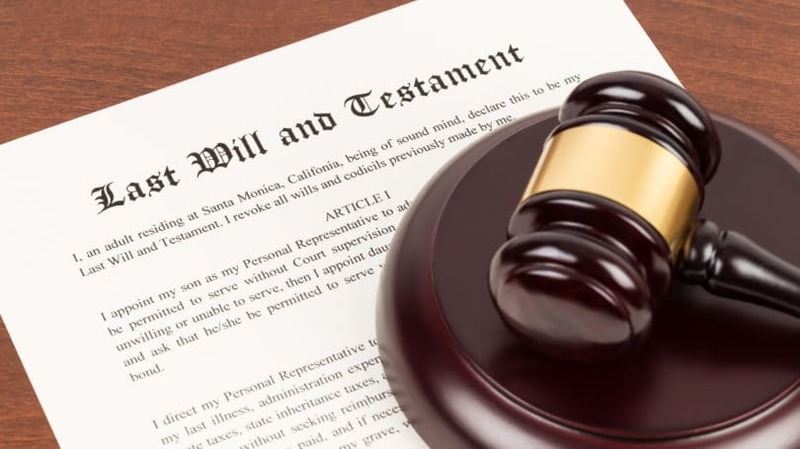 A living will is a legal document that states your wishes concerning the use of life-sustaining treatment if you become permanently unconscious or terminally ill. It authorizes the doctors to follow your instructions about the kind of medical treatment you want under these circumstances, and it only affects care that artificially prolongs death. Living wills can get very specific. They can state whether you do or do not want breathing assistance, artificial hydration or feeding, blood transfusions, and even certain medications. A power of attorney (POA) designates a specific individual, known as an “attorney-in-fact” to make decisions for you. POAs can be “special” or “limited,” meaning they can be for one particular purpose, such as authorizing a spouse to purchase a house and put your name on the deed, or they can be “general,” giving the attorney-in-fact all the powers you would have if you were present. POAs can also be “durable,” meaning they extend into times of incapacity, both physical and mental. A durable power of attorney becomes crucial when your parents are unable to make decisions for themselves. Without one, making any decision or paying bills on behalf of the incapacitated parent is impossible without going to court and establishing guardianship, which can be a difficult and time-consuming process. So don’t wait until your parent becomes incapacitated; have them designate someone now, while they’re still healthy, to act on their behalf when they’re no longer able to act for themselves. A durable power of attorney for health care is a legal document that authorizes whomever you designate to make health care decisions for you if you’re unable to make them for yourself. Some states require living wills to include provisions for anatomical gifts — in other words, organ donation — and the majority of states now ask about donor registration when you apply to get or renew your driver’s license. Your registration as a donor is an advance directive stating that your organs, tissues, and eyes, if useable, may be recovered on your death. Additionally, many states allow you to designate the intended use for your anatomical gifts, such as transplantation, therapy, research, education, or the advancement of medical science. A DNR order addresses the various methods used to revive people whose hearts have stopped functioning or who have stopped breathing. These could include chest compressions, electric heart shock, artificial breathing tubes, and special drugs. If you wish to be resuscitated should you need such life-saving measures, you don’t need to do anything as doctors normally take every possible measure to keep you breathing and your heart beating. If you don’t want this, however, you may include a DNR provision in your living will. Where Are These Documents Located? None of these planning conversations will matter if you don’t know where to find all the necessary documents when they’re needed. A 2014 UBS report on why families should talk about inheritance found that while 80% of parents have wills, half haven’t told their children about them. That includes where they’re located or even whether they exist at all. This can be a huge problem, especially if adult children are expected to fill any of the fiduciary roles of executor or attorney-in-fact for health care or financial management. A 2015 study by Fidelity found that 92% of parents expect one of their children to fulfill the role of executor, but 27% of those chosen as executor didn’t even know they were chosen. The executor has a huge role to fill in managing their parents’ estate. They will be the one called on to gather all of their parents’ financial documents, pay all the creditors, and then disburse the remainder of the estate according to their parents’ wishes. If the executor can’t find all the necessary documents — including not only the will, but also information for every single financial account, as well as anything else that needs to be managed or “closed down,” such as social media accounts — their job will be challenging. Include anything that would be required to manage either your parents’ estate or any financial and health care decisions they’d be unable to make for themselves if they become incapacitated. And don’t forget about digital accounts, including usernames and passwords, that might be required to shut down anything online. I’ve heard many a tale of individuals passing away and leaving no ability for survivors to delete things like Facebook accounts. Because this life file will include everything about your parents’ lives, be sure to keep it in a very safe place, and share its location with the family members who need to know about it. People are living longer than ever. But, although lifespan has increased, quality of life hasn’t necessarily done the same. Longer life can mean an increased need for long-term care, such as assisted living and nursing home care. According to the U.S. Department of Health and Human Services, someone turning 65 in 2019 has a 70% chance of needing some kind of long-term care in their remaining years. This could be care provided at home or in a facility, and the costs can be enormous. Nursing home care can cost upwards of $8,000 per month, according to the 2018 Genworth Cost of Care Survey. Assisted living, on average, costs about $4,000 per month. These costs may prompt many to consider at-home care, but home care might not necessarily be less expensive. Home care could involve hiring a home health aide, which could also cost $4,000 per month according to the Genworth study, assuming the need for 44 hours per week of help. Even taking on the task of caring for your aging parents yourself may not save costs, as full-time care for an aging parent could require you to reduce your work hours or even leave your job. Additionally, CNBC reports that as many as 68% of caregivers provide financial support to their aging parents by paying for medications, food, transportation, and other living expenses. What Are Their Wishes for Care? Is one or the other of your parents vehemently opposed to spending their final days in a nursing home or assisted living facility? Do they prefer to age at home? Although family situations may prevent some of these wishes from being carried out, it’s helpful to at least know what your parents’ desires are. Do They Have Long-Term Care Insurance? Although Medicare is available to everyone once they turn 65, it doesn’t cover the costs of long-term care, such as assisted living, nursing home care, and home care. For those who can afford it, long-term care insurance covers these costs. The drawback, however, is that it can be expensive, especially the older you are when you apply for it, and not everyone qualifies. What Expenses Does Their Health Insurance Cover? Your parents may have health insurance from their former job that continues into retirement, they may have Medicare exclusively, or they may have some combination of both. Regardless, not all plans are created equal. Familiarize yourself with your parents’ coverage and benefits, especially if you’re in a position where you’re required to make health care decisions for them or provide financial assistance in paying for care or medications. Have They Set Aside Enough to Cover Medical Costs in Retirement? According to Fidelity’s 2018 Retiree Health Care Cost Estimate, couples who turned 65 in 2018 need to have saved approximately $280,000 to cover health care expenses in retirement. If your parents aren’t 65 yet, keep in mind that this estimate increases every year. If Not, How Will Costs Be Covered? If your parents haven’t saved enough to cover the costs of health care, you might find yourself in the same position as the majority of adult children, who end up paying for health care and medication needs in addition to providing care for their aging parents. Make sure to plan and discuss with your family, including any siblings, how these costs will be managed. It’s also helpful to know how the costs of some forms of care are covered. For example, although Medicare doesn’t cover the cost of a nursing home stay, Medicaid does. In fact, most residents of nursing homes have their stays covered by Medicaid. However, Medicaid doesn’t kick in until your aging parent meets its poverty thresholds, and it will first eat through any retirement income your parents are receiving. What Are Your Parents’ Wishes for a Funeral? My mother passed away suddenly without ever having expressed any wishes about her funeral. We had no idea if she would have preferred to be buried or cremated, have her ashes spread somewhere, or be interred at a specific location. So we were left to make all these decisions on our own. Although funerals are really for the living, if your aging parents leave no instructions about their desires, you may be left struggling with doubt about whether you made the right decisions, on top of the grief you’ll be experiencing. So make sure to have this conversation before it’s too late. It’s also worthwhile to ask if your parents have made any financial arrangements for their funerals, such as buying funeral insurance or prepaying for their funeral or a particular burial plot. End-of-life planning isn’t an easy topic of conversation, but it’s an important one. According to 2016 research by Independent Age, a website focused on supporting older generations, almost four out of five people think having discussions about aging and death is important, but less than a third have actually had such conversations. The study finds that some of the key reasons for avoiding the conversation include a lack of knowledge, worry about the reaction of family members, avoidance of undesirable possibilities, and a feeling that the timing isn’t right. Yet the cost of avoiding the conversation can be monumental. Older individuals may experience greater anxiety about the unknown; adult children may feel overwhelmed by the responsibility of making decisions on their parents’ behalf, especially when they don’t know what their wishes are; and adult children are likely to make decisions that are different from those their parents would have made. There are also the potential financial ramifications if no planning is done. These could include adult children having to pay for advanced medical care, taking on caregiving themselves, paying for the funeral (the average cost of which is upwards of $7,000), or dealing with paying higher estate taxes than are necessary. Having “the talk” about end-of-life planning is unquestionably important, but how do you approach such a difficult topic? Consider the following tips from Catherine Hodder, estate planning attorney and author of “Estate Planning for the Sandwich Generation: How to Help Your Parents and Protect Your Kids,” and Ellen Goodman, founder of The Conversation Project, which aims to help families talk about their end-of-life wishes. This is likely to be an ongoing conversation with your parents and not a one-time thing. Think about when the right time to bring up the conversation might be, and consider doing it a little at a time. Try to include siblings in the conversation so it won’t seem as though you’re trying to be controlling or secretive. It will also help avoid family disputes and ensure everyone is on the same page. Remember, you aren’t trying to ask about your inheritance; you’re merely attempting to understand your parents’ wishes so that when the time comes, you’ll know how to make the appropriate decisions. Because this will be an ongoing conversation, your parents may change their minds about their wishes. Make sure you keep a record of any wishes so you’ll have those notes to refer to. Also remember that, no matter what your parents tell you they want, when it comes to designating who gets what, none of that will matter unless it’s written down in a will. This is not the time to argue over who gets what or attempt to right past wrongs. Remember, the purpose of the conversation is to ease the financial and emotional strain of end-of-life decisions. Keep in mind that this can be a difficult conversation not only for you, but also for your parents. Very few of us like to talk about death and dying. Think about how you would feel if you were the subject of the conversation. Would you be anxious about the possible future or scared of dying? Exercise compassion and empathy. Your job isn’t to tell your parents what they should think, feel, or do, but to understand their wishes. The conversation could also bring up a lot of feelings, especially feelings of sadness and regret. Allow your parents to express their feelings without judgment. In addition to helping you with any legal documents, an attorney who specializes in estate planning can help mediate the conversation and suggest topics for discussion you may not have thought of otherwise. Goodman suggests that it can be difficult, if not impossible, to cover all possible end-of-life scenarios. Instead, try to focus on your parents’ core values and get a general feel for what they want that can guide future decisions. Don’t wait until your parents are no longer mentally or physically capable of telling you what they want. For many of the decisions you may be called on to make, if you wait, it will be too late. Have the conversation now before you need the answers. Remember, though, that if you find the whole conversation uncomfortable, you’re not alone. That’s why, although so many people believe it’s an important conversation to have, few have had it. If you’re in need of more direction, Goodman offers conversation starter kits on her site. Through his years of helping families with their estates, both before and after death, Pierce has encountered a number of people who’ve either wasted money or suffered from anger, conflict, and misunderstandings as a result of poor planning. To avoid this, when discussing estate planning with your parents, look out for the following common pitfalls. Family disputes often arise when parents leave something to one or more of their adult children in a way that wasn’t intended. For example, this can happen when aging parents name one of their adult children as a joint owner on a bank account to give them the ability to write checks and pay bills as the parents’ cognitive abilities decline. As The New York Times reports, the ability to manage finances is one of the first cognitive skills lost to aging-related diseases. This act, however, can have unintended consequences. 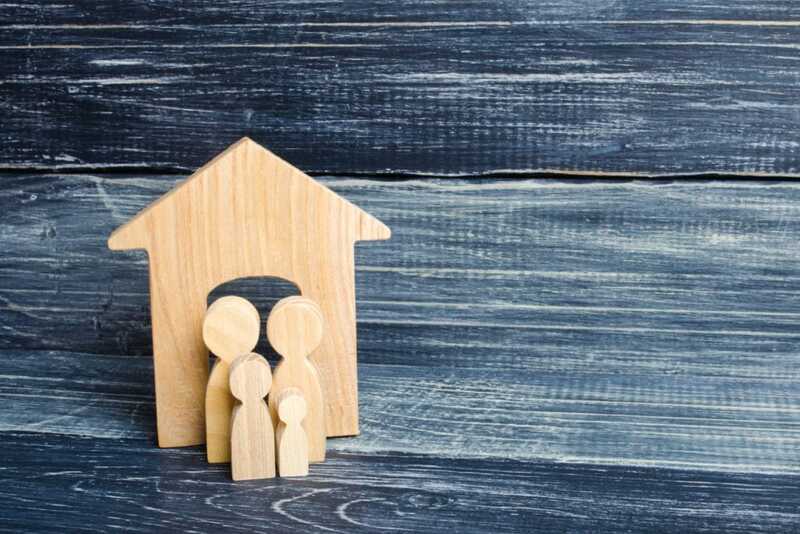 Banks typically designate joint account holders as “joint tenants with rights of survivorship” (JTWROS), which means that when person A dies, the entire account automatically becomes the sole property of person B. For example, suppose that Jim has three children — Sally, Crystal, and Joe — and that Jim means for his entire estate to be split equally among them. Jim’s estate includes $100,000 in a bank account held jointly with Sally and a home worth $300,000. Because Sally was designated as a joint account holder, when Jim dies, ownership of the $100,000 automatically passes to her; it never enters probate. The house does enter probate, however. So when the estate is split three ways in line with Jim’s will, in addition to the $100,000, Sally also inherits one-third of the house — meaning she gets $200,000, and Crystal and Joe get only $100,000 each. You can see how this could cause disputes among family members. This isn’t what Jim wanted and will likely be seen as unfair by Crystal and Joe, yet Sally is legally entitled to the extra $100,000 because of the JTWROS designation on the bank account. In order to prevent this kind of situation, what Jim should have done, according to Pierce, was create a durable power of attorney that would have given Sally the ability to pay Jim’s bills without giving her joint ownership of Jim’s money. That way, when Jim passed, the total value of Jim’s estate — $400,000 — would have been equally split among the three siblings. 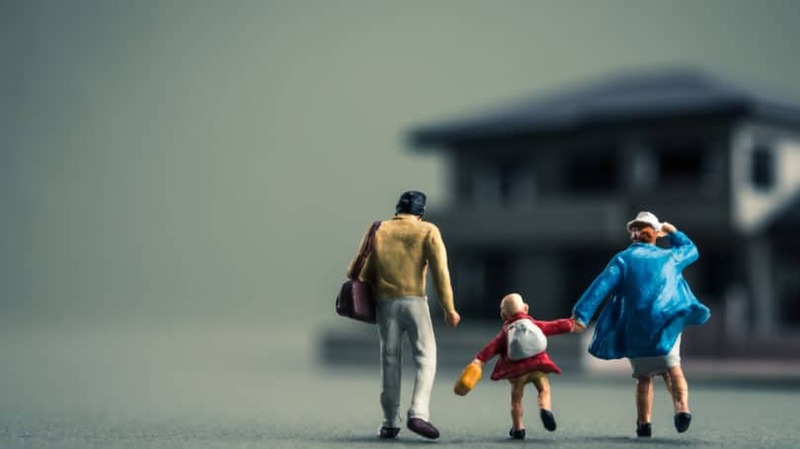 Another common source of family disputes is when parents leave property to more than one beneficiary. Splitting an inheritance of property often means discovering its value and then liquidating it. That may not be a problem if, for example, it’s a house that has no sentimental or physical value to any of the beneficiaries. But what happens when one sibling doesn’t want to sell? How do they split the inheritance? Pierce tells of attempting to mitigate a case in which two brothers inherited a home. One brother, Dan, was still living in the home, and the other, Kevin, was not. Dan wanted to keep living there, but Kevin wanted his portion of the home’s value. Pierce recalls telling the brothers that solving their issue required them first to determine the value of the house, after which Dan would need to pay Kevin his share of the fair market value if Dan wanted to keep living there. Dan, however, did not want to pay Kevin, so they ended up in court. After much wasted time and expense, the court ended up telling them the same thing as Pierce had. Unfortunately for the brothers, this meant selling the house and having their inheritance mutually reduced by the cost of attorney fees. A better solution would have been for the parents to decide what they really wanted for their children. Did they want Dan to be able to keep living there? If so, they should have made Dan a JTWROS or put a transfer-on-death (TOD) to Dan on the house deed, either of which would have allowed the house to pass to him automatically. Then, they could have potentially left Kevin something else of equal value. Keep in mind, though, that it isn’t always necessary to leave siblings equal shares of an estate, and parents may have good reasons for not doing so that have nothing to do with favoring one sibling over another. Perhaps, for example, you have a sibling with special needs who requires lifelong care in a facility, so your parents set up a special needs trust to continue their care. Or maybe you are well off and don’t need the money as much as your sibling. Talking with your parents about why they made particular decisions that seem “unfair” on the surface is a crucial way to help mitigate family disputes. If you never have these conversations, you may find out what your parents decided when it’s too late to discuss it with them and learn their reasoning. 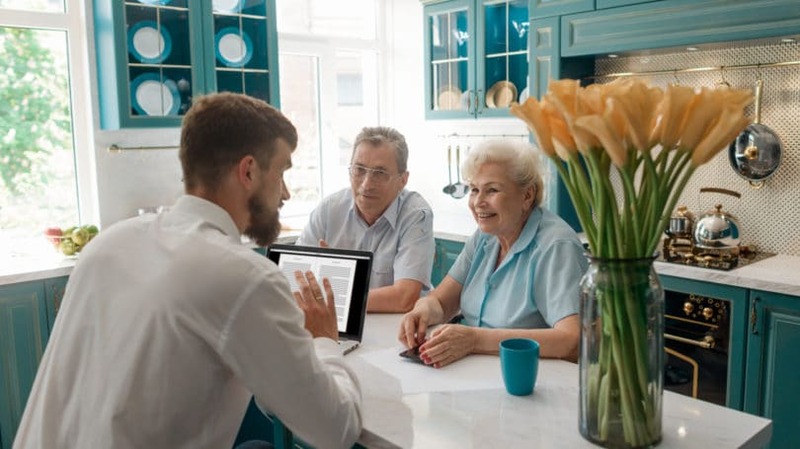 Many people are encouraged to set up living trusts by financial professionals who praise trusts’ ability to protect assets and reduce estate taxes. While it’s true that trusts can have some benefits over a will, a trust can’t function if it isn’t funded. What this means is that every asset your parents own must be re-titled not in their own name, but in the name of the trust. Anything that is not owned by the trust at the time of their death, but that remains in their name only, will enter probate. That means it becomes part of their estate, making it subject to estate taxes and creditors. Creditors are always paid first out of the estate; beneficiaries only receive what remains. Thus, if a trust is not funded — meaning your parents’ assets are not titled in the name of the trust — there’s no purpose in setting one up. Yet, according to Deirdre R. Wheatley-Liss, author of “Plan Your Own Estate,” this is the most common mistake of those who use trusts as part of their estate planning. Although we live in an age when pensions are a thing of the past, and 401(k)s, IRAs, and other self-funded retirement accounts have become the norm, the vast majority of Americans are not millionaires. According to a 2017 survey by Charles Schwab, only 10% of Americans own $1 million or more in assets. As of 2018, a person must inherit at least $11,180,000 to be subject to estate taxes at the federal level. And although states have their own estate tax thresholds ranging from no tax at all to taxes starting at a threshold of $1 million in Massachusetts and Oregon, even $1 million is more than 90% of Americans will leave to their heirs. Many people think they need to set up a living trust as a way of avoiding estate taxes. However, if your parents are among the majority of Americans who won’t be leaving you that kind of inheritance, there’s no need for them to set up a trust. Pierce isn’t fond of trusts simply because they can be a waste of money for many. He tells of his own in-laws, who were talked into setting up a living trust by an unscrupulous financial professional who ended up charging them several thousand dollars for something that was ultimately unnecessary for them. Although trusts are the only way to leave money and property to minors, there are simpler ways to transfer assets on death that avoid probate, which is a lengthier and more expensive process of transferring title. These methods are known as will substitutes and include the JTWROS designation mentioned above, as well as “pay-on-death” (POD) and “transfer-on-death” (TOD) designations. POD and TOD designations allow for the title, or ownership, of the asset to be automatically transferred on the original owner’s death to the person named. POD or TOD can be designated on anything that’s titled, including real estate, vehicles, banks accounts, and investment accounts. For example, if Jim puts a TOD to Sally on the title to his car, the car title will automatically transfer to Sally on his death. Although talking to your parents about their end-of-life planning is unquestionably difficult, the conversation is critical. If nothing else, it can help families avoid panic when they find themselves dealing with the death of a loved one. The 2016 Fidelity Investments Family & Finance Study found that 93% of adult children who had end-of-life planning conversations with their parents felt significantly greater peace of mind. Similarly, 95% of parents reported having greater peace of mind after having these conversations. No one likes to talk about death and dying, and it can be especially difficult for adult children to contemplate their parents’ aging and death. The loss of a parent is never easy, and the grief process can be profound and ongoing. That emotional difficulty is only compounded, though, if one or more of your parents experience physical or mental incapacity or die without you knowing their wishes, having the necessary legal documents in place, or knowing where you can find them when needed. Have you talked with your aging parents about their estate and advance care planning? Or are you struggling to figure out how to open the conversation? What do you think might be holding you back?